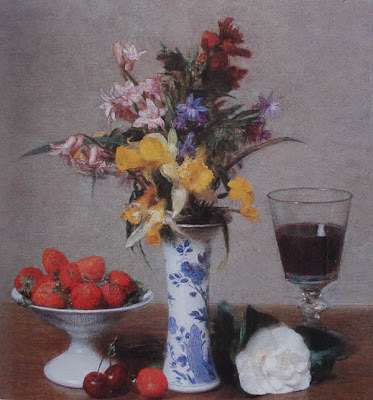 Ignace Henri Jean Theodore Fantin-Latour was born in 1836 in the town of Grenoble France. His Father was a pastel artist. Henri studied drawing with his father at age ten. At fourteen he studied under Lecocq de boisbaudran for six years at the Petite Ecole de Dessin in Paris. Latour attended the Ecole des Beaux-Arts but was expelled after three months for showing no signs of improvement. 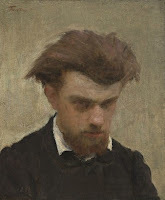 After his training he began making master copies in the Louvre for twelve years. The practice was an almost daily obsession. It is in the Louvre that he met many artists including Edouard Manet, Berthe Morisot and James Abbott McNeill Whistler. 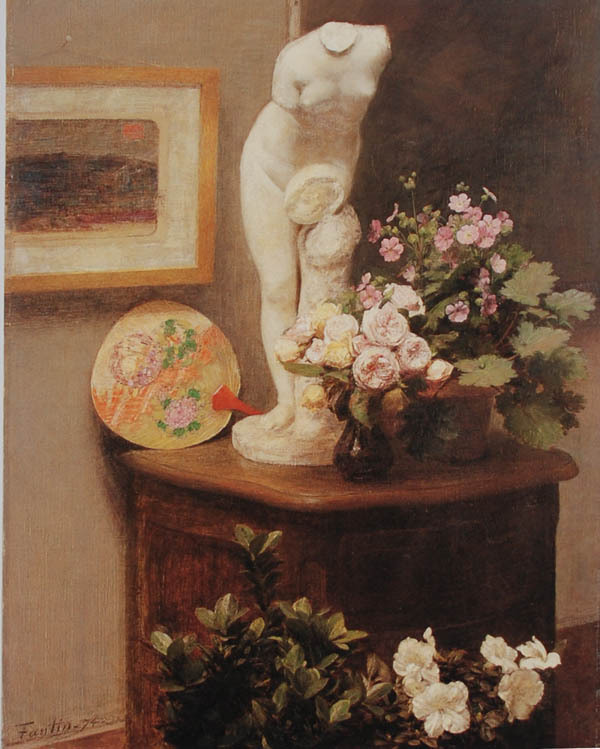 It was Whistler that introduced him to important English patrons and this is where Latour found a lifelong market for his still life paintings. He exhibited with the Salon between 1861 and 1899. He also exhibited in the Salon de Refuses in 1863 but refused to show with the Impressionists. In 1878 Latour received a medal at the Salon and the Cross of the Legion of Honor. He was a prolific painter producing 2500 paintings in his lifetime. 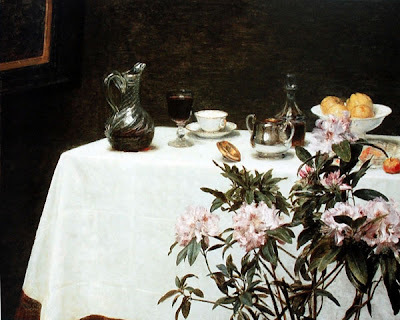 Nearly a quarter of them were still life paintings and most of his paintings were created in a twenty year period from 1870 to 1890. Besides still life paintings he also painted portraits and figurative work. What a graceful thoughtful artist he is, restraint comes to mind. Appreciate this artist Armand thanks for posting. I've ALWAYS have trouble with RESTRAINT!! Me and you both. He reminds me of a modern Chardin with those contemplative images. Very sensitive observation going on. 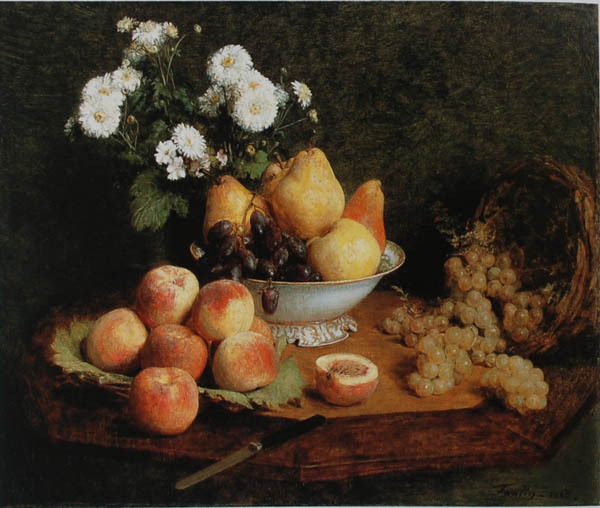 Fantin-Latour made peaches look impossibly fuzzy and real – his backgrounds were often simple like Chardin's – just somewhere between beige and brown – your blog is great – I like the fact that you impart knowledge as well as lovely paintings – your own and others.